Northside Montessori Community Celebrates Harmony Day together. 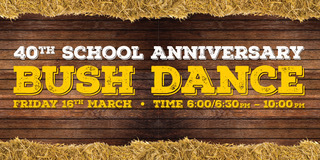 40th Anniversary Bush Dance for members of the Northside and Stepping Stones Community. Booking required through Eventbrite.